The elimination of U.S. tariffs on Japanese auto imports, which President Obama and Japan announced in April as part of a plan to bring Japan into new trade talks, should be tied to Japan opening its markets, a U.S. lawmaker urged Tuesday. WASHINGTON -- A senior U.S. lawmaker on Tuesday urged the Obama administration to push for tough rules on opening the U.S. market to more Japanese autos and to take a firm line in free trade talks against currency manipulation, as Detroit automakers and workers turned up the heat on the White House. The demand from Representative Sander Levin, the top Democrat on the House of Representatives Ways and Means Committee, highlighted the difficulty President Barack Obama may face in getting the proposed Trans-Pacific Partnership pact through Congress, unless he responds to concerns about the agreement among many of his own party members. In addition, more than 80,000 auto workers for Ford, General Motors and Chrysler have signed petitions expressing their opposition to Japan's entry into the TPP agreement, unless Tokyo takes steps to import more U.S. cars and agrees to rules against currency manipulation, the American Automotive Policy Council and UAW said in a joint statement. Levin said in a speech at the Peterson Institute for International Economics that the United States should insist in trade talks with Japan on a 30-year phase out of its 2.5 percent tariff on cars and 25 percent tariff on trucks. In comparison, the U.S. free trade pact with South Korea eliminated the 2.5 percent car tariff after four years and the 25 percent truck tariff after 10 years. Echoing the views of the Detroit 3 automakers, Levin argued that Japan uses a variety of tax policies, regulations and other "non-tariff" barriers to keep out U.S. autos, even though the country has no tariffs on auto imports. A long period of phasing out tariffs in the United States is needed to ensure that Japan really opens its own auto market, Levin said. "Imports from all countries combined account for a total of just 6 percent of the Japanese auto market, making Japan the most closed automotive market in the developed world," he said. Japan's automakers are often helped by Japanese government efforts to depress the value of the yen, making it important that the Trans-Pacific Partnership also contains enforceable rules against currency manipulation, Levin said. "We need to take the disciplines that have been developed at the IMF, build upon them and subject those disciplines to binding dispute settlement," similar to other commitments in trade pacts, he said. While the U.S. Treasury Department hasn’t labeled Japan a currency manipulator, it has called on the government in Tokyo to refrain from devaluing the yen for competitive reasons. Bernanke said it was in the U.S. interest to see Japan’s economy improve. Levin said the elimination of U.S. tariffs on Japanese auto imports, which President Barack Obama’s administration and Japan announced in April as part of a plan to bring Japan into the talks, should be tied to the nation opening its markets. The TPP should also deal with future trade barriers, he said. “If the Obama administration is serious about growing manufacturing jobs and signing a high-standard Trans-Pacific Partnership trade agreement, it will adopt these ideas as its bottom-line negotiating position moving forward,” Scott Paul, president of the Alliance for American Manufacturing, said in a statement. The Washington-based, non-profit group includes U.S. manufacturers and the United Steelworkers union. The United States has not included currency rules in previous trade pacts, and the White House has been noncommittal about addressing the issue in the TPP talks, which it hopes to finish this year. Levin's speech came as Japan is preparing to join negotiations on the TPP just before the conclusion of the 18th round of talks on the pact, which are wrapping up this week in Malaysia. The Obama administration struck a deal in April with Japan on the terms of its entry into the negotiations. 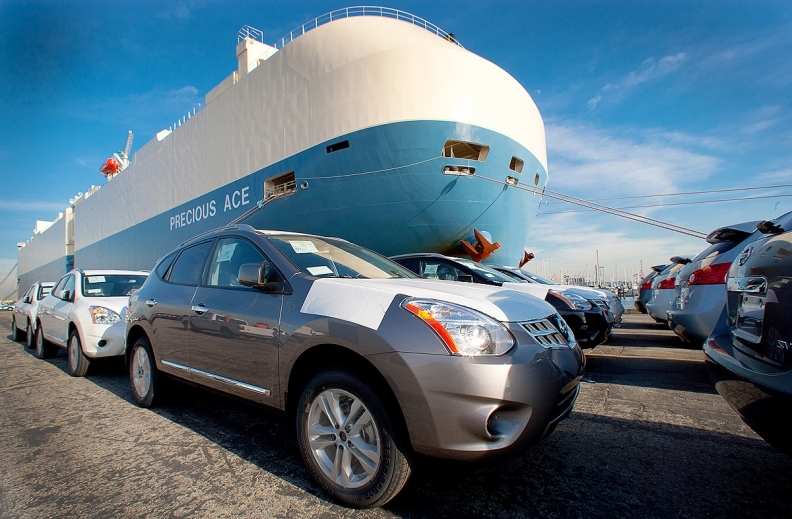 These include a commitment that U.S. tariffs on Japanese autos and trucks would not be phased out any sooner than the longest tariff phase-out for any other product covered by the pact. Levin, who is from the Detroit area, said that approach was insufficient. Instead, he outlined a plan to phase out the tariff over 30 years, but allow for quicker elimination if Japan's total auto imports rise to at least 20 percent of its domestic market. However, the plan would maintain a 1.25 percent auto tariff and a 12.5 percent auto tariff in year 30 if Japan's import penetration in year 25 is less than half the average rate for developed countries, which is currently about 30 percent.